The foundation was laid by the Word of God. God said "let there be Solid Rock Pentecostal Church of Christ, Disciples of Christ" and the late Bishop James A. Winslow, Sr. built and established it and set forth the ministry that God had ordained in him for his season. The late Mother Gloria B. Winslow-Thrower nurtured it and carried forth the ministry that God had ordained for her season. 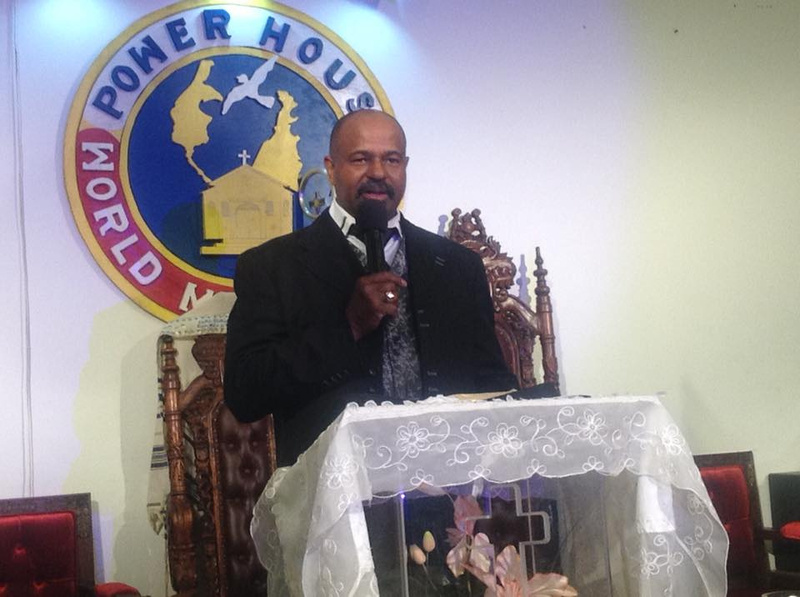 On August 1, 2004 God birthed "POWER HOUSE WORLD MINISTRIES" in its due season through the person of Bishop James A. Winslow, Jr., a preacher called to preach the gospel of Jesus Christ. It is a ministry of healing wounded souls, proclaiming liberty to the captives in the acceptable year of our Lord and Savior Jesus Christ. The evidence of this ministry is shown through the workings of the Holy Spirit and gifts of the five fold ministry. Also, the spiritual growth in the lives of the members and the birth of new and diverse ministries. Bishop James A. Winslow, Jr., a community leader, fair and honest business man, a positive leader who holds the interest of the people in high regard. His vision is to build a church that will serve the community and a community that will serve the Lord. To open the door to ministries that will meet the needs of the members as well as the surrounding communities. He has established such ministries as "Boys in the Neighborhood" in 1987, a boys club was designed to teach the Gospel by being a positive roll model. American Youth on the Move is the youth movement within Solid Rock. Part of the vision includes the building of a youth center, a live broadcast studio for radio and television, a Christian book store, a homeless shelter, a shelter for battered women and children, an academic center, daycare and the expansion of helping hands food pantry. In addition to the vision and mandate to the office which he holds, Bishop Winslow is a carpenter, licensed heat and air specialist, diverse musician and dynamic preacher. A graduate of Baltimore School of the Bible in June, 1997. In March, 1992 he was the recipient of the Diamond Award for outstanding service toward the betterment of our community and country and numerous service awards from the Mayor and City of Baltimore for community service. He was ordained as a Minister of the Gospel on April 19, 1987 and installed as pastor to preach the Gospel in 1988. He was born and raised in Baltimore, Maryland and in 1980 he met his wife Author and Pastor Nancy R. Lightner Winslow. They conceived two daughters Roshecca (1982-1992) and JeCole (Winslow) Edwards and two sons Cornelious and Dominic.